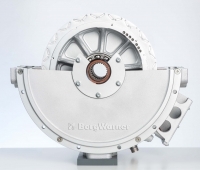 The range of K-HEM hybrid units that Kohler brought to Bauma 2019 is based on the concept of a parallel hybrid system: this enables constructors to fit K-HEM units onto the hydraulic system of their applications, just like they used to do with endothermic engines. 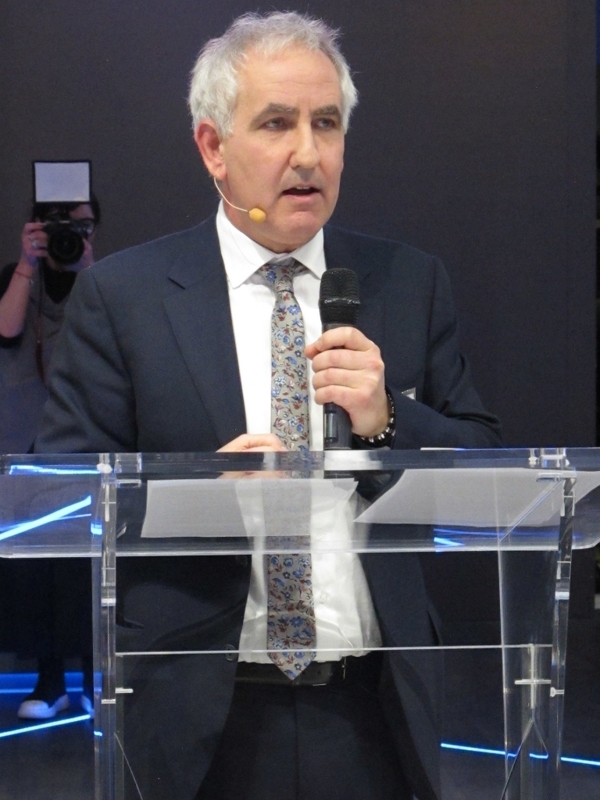 Kohler realised there is a series of applications fitted with over-dimensioned engines for specific features. Their operating cycles do not need all the power that the engine is capable of delivering, or does not need it all of the time. Consequently, it identified two thresholds that are particularly interesting: 19 kW, i.e. the limit for Stage V legislation’s requirement for the use of DPF, and 56 kW above which the same legislation also requires the use of SCR. In order to offer an alternative solution capable of tapping on these two power nodes, the new K-HEM 2504 runs alongside the K-HEM 1003 launched last November. 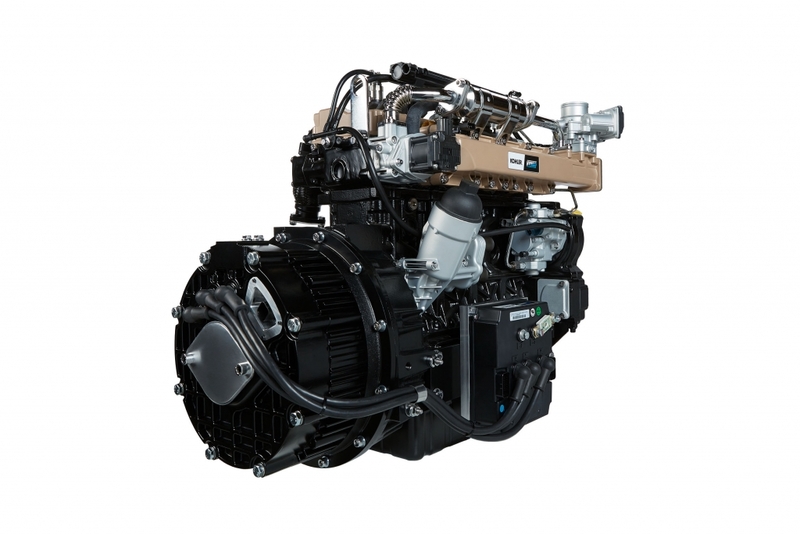 The K-HEM 2504 is a hybrid unit generating a combination of electrical and mechanical power consisting of a KDI 2504 TCR 55.4 kW diesel engine that complies with Stage V legislation and is without SCR, and a 48 Volt electric motor that guarantees 19.5 kW peak power and 9 kW continued power. The K-HEM 2504 hybrid unit offers even more efficient DPF management making the regeneration processes fully transparent for the end user, as it is possible to exploit the temperatures reached to recharge the battery pack. Kohler offers constructors a full range up to 105 kW, which investigates different sources of energy that are increasing and diversifying as time goes by. 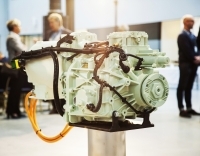 Hybrid solutions can replace an endothermic engine without worrying about installation problems because K-HEM units have the same integration with the hydraulic system or with the mechanical transmission as a diesel engine. Otherwise, the application can be re-engineered in order to make it more efficient: the current generated by the electric motor can run a series of actuators and guarantee more punctual and optimised management, leading to improved machine performance as a whole. K-HEMs allow excavators to have faster and more precise movements compared to the past. Or they make sure aerial platforms exploit the availability of electricity when peak power is required and then use the diesel engine as standard for cycles operating at low speeds. For the same reasons, Kohler believes K-HEMs are a perfect match for applications like welding equipment, forklift trucks, telescopic lifting equipment, tyre- or track excavators, chip grinders, and cable tensioners. Kohler hybrid units guarantee the possibility to store surplus energy in the batteries to be delivered when needed, drastically reducing running costs. The applications will enjoy the inherent flexibility of parallel hybrid systems, namely the possibility to run on mechanical energy, on mechanical energy plus electrical energy, or with electrical energy alone, soon available for the K-HEM range.